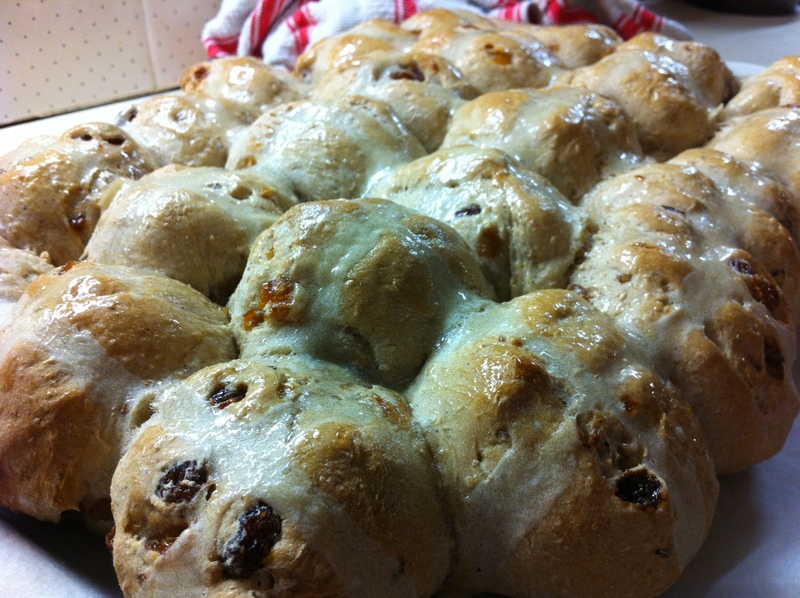 I love Hot Cross Buns and there is nothing better than home made ones! Here’s my recipe…… I use a Breville bread machine to make the dough I am sure you could do this by hand, but if you’re using a bread machine, add the ingredients to your machine in the following order…. Select the bread dough setting and press “go”! Whisk together to make a smooth batter and spoon into a piping bag with a small nozzle. When dough is ready, take it out of your machine and place it on a floured surface. 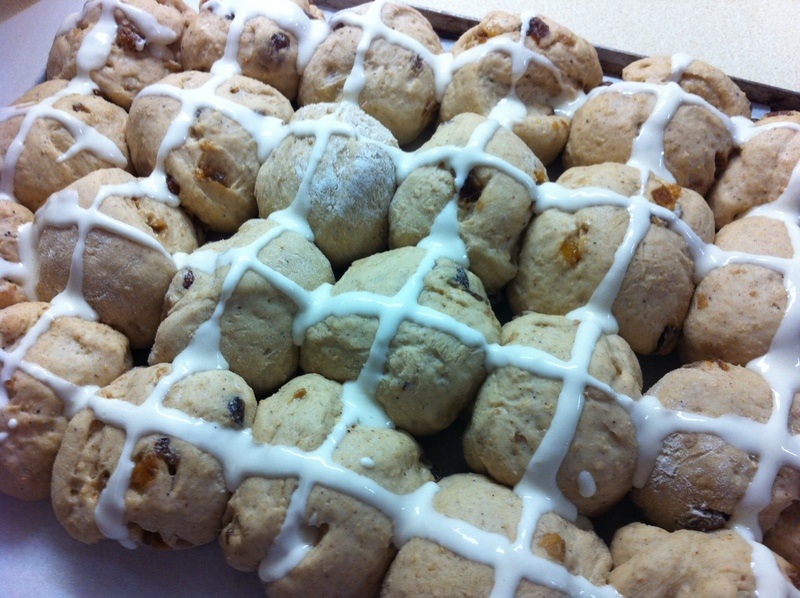 Place rounds close together on a baking tray lined in grease-proof paper. 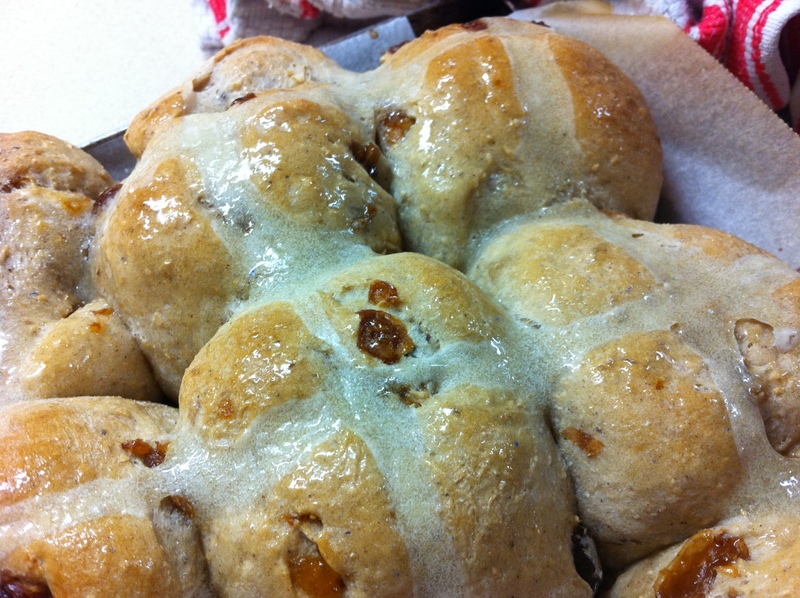 Bake in pre-heated oven at 190 deg for 15-20 min or until golden brown and give a hollow sound when tapped. Remove form oven and place on a wire rack, brush over the glaze. Allow to cool for about 5-10 minutes before serving.